Another loss - to another bad Big South team. The Cats have now lost to both UNCA and Liberty (probably the worst team in the Big South with an RPI of 343 of 347 teams). The Catamounts committed 19 personal fouls against the Liberty Flames, sending them to the free throw line for 22 attempts, where they made 18 points (81.8%). However, it was the technical foul (for calling an excessive time out) assessed against the Cats by Scott Smith (son of Dean) with 5 seconds remaining - that was a game changer. While attempting an inbound play under the Liberty backboard, with a 1 point lead and 5 seconds on the clock, the Cats were assessed with a technical foul, that sent the Flames to the free throw line for the final time. That technical foul was the measure of victory for Liberty. One point down, Liberty's Tavares Speaks sunk two final free throws, giving the Flames a one point victory, 63-62 in the Ramsey Center. Trey Sumler stated that a "time-out" was not called, but a set play was called & repeated three times - the set play is named Catamount. "Catamount" - "Catamount" - "Catamount" - was the only thing said according to Sumler. Smith said he heard "time-out" "time-out" "time-out" called out three times, and of course we all know, the officials are never wrong. Now in addition to glasses, I guess they also need a hearing aid check prior to game time. Not a great way to end the game, it's certainly not good, when an officials' call decided the outcome. But this game was lost prior to the technical, it was lost by excessive fouls and cold shooting by the Catamounts. Not having played in 10 days, the Catamount shooting was colder than ice all afternoon. The Cats hit only 23 of 61 field goal attempts for 37.7% and were able to hit only 4 of 23 attempted 3-point shots, for a meager 17.4%. Tom Tankelewicz, this season's three point ace, went 0-6 in treys, prior to fouling out of the game. The Cats were also out rebounded by 10 by the Flames, 36-26. The lone stat that provided the ability for the Catamounts to remain in the game and stay close; then tie & take the lead in the final minutes was Liberty's forced turnovers. The Flames committed 23 turnovers, most of which the Catamounts failed to take advantage of, due to their poor shooting on the night. Trey Sumler was the high scorer in the game, with 23 points, 3 rebounds, 4 assists, & 3 steals; Tawaski King put up 12; and James Sinclair 11 points. The Flames were lead by Tavares Speaks, coming off the bench with 13 points and 2 rebounds. The Cats now travel to the Citadel on January 5th. This game is now very much up in the air. The 3-7 Bulldogs play at Clemson on Tuesday. The Citadel has only one Div I win, that came in their season opening game over VMI in Charleston. Former Western Carolina Track & Field standout Manteo Mitchell is a world champion. Mitchell was part of the United States’ 4x400-meter relay team finishing in 3:03.94 at the World Indoor Championships in Istanbul, Turkey that claimed the Gold Medal. Team USA consisted of Frankie Wright, Calvin Smith, Mitchell and Gil Roberts. Mitchell ran the third leg of the event, taking the handoff from Calvin Smith with the United States in second place behind Great Britain. Mitchell ran a personal best split of 44.8 to move Team USA into first place. Gil Roberts maintained the lead for the Americans to win the world championship. During 2012, Mitchell was also selected to repesent the US as a member of the US Olympic Team in the 4x400-meter relay. Mitchell ran in the opening leg for Team USA in 4x400-meter relay semifinal. The Bahamas and United States finished 1-2 in the heat, with identical times of 2:58.87, the fastest time ever run in the first round of the relay at the Olympic Games. During Mitchell's run, he broke of his left fibula bone, but completed the race. 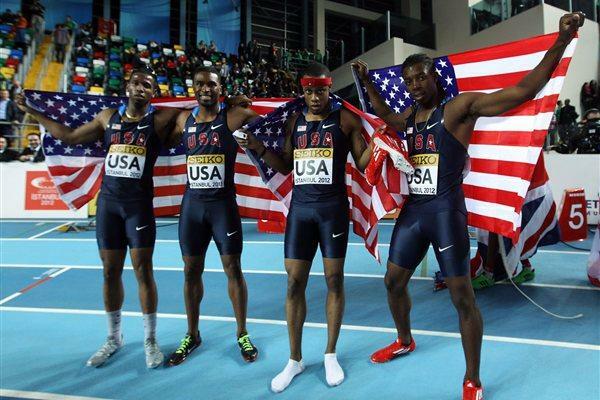 The US ultimately won the Silver Medal in the 4x400 relay. It's 46 days until first pitch at Hennon Stadium against Washington State. While we're waiting, let's get to know this year's team and meet the juniors. Liberty head coach Dale Layer enters his fourth season with the Flames, and returns only two of his top five scorers from last season – John Caleb Sanders and Tavares Speaks. This will be the third meeting between the Catamounts and Flames, with each team looking to pick up a win in the rubber match. The Liberty Flames were selected to finish fourth in the Big South's North Division for the 2012-13 season. Liberty is coming off a 14-18 season, finishing fifth in last year's conference standings. This season, Liberty is 3-10 overall, with wins over Div III Southern Virginia and NAIA's Milligan College, and Union College (NAIA). The Flames do not have a Division I win thus far this season. The Flames are currently led in scoring by junior Davon Marshall (guard / 5-11 / 170) with 12.1 ppg and junior John Caleb Sanders (guard / 6-0 / 180) with 9.8 ppg and 4 rebounds per game. Sanders scored a career high 24 points against Milligan in the Flames last outing. Marshall is first in the Big South in three-pointers per game, averaging nearly three per contest. Junior JR Coronado (forward / 6-8 / 245) leds the Flames in rebounding this season, with 8.5 per game and is ranked third among Big South players in rebounding. Liberty is averaging 63.3 points per game on the season, shooting 40.9% from the field, while averaging 7.7 three pointers per game and averaging 15.9 turnovers per game. Liberty is tops among Big South squads in three-point field goal defense, forcing opponents to shoot 28.6 percent from long range and remain 11th in the nation in three-point field goal defense. Redshirt junior Joel Vander Pol (center / 6-10/ 230) has returned to the Liberty lineup after missing the first 9 games of the season, he is currently averaging about 10 minutes per game since his return. At this point in his development for this season, I do not expect Vander Pol to be a difference maker for the Flames in this game. However, playing in his fifth contest since returning to the Flames' lineup, Joel Vander Pol scored a season-high 12 points and a career-high 11 boards against Liberty's last opponent, Union College (NAIA) last Friday night in Lynchburg, VA.
For the eighth straight year, Western Carolina women's soccer received the NSCAA (National Soccer Coaches Association of America) Team Academic Award with a 3.39 team GPA. The Catamounts were recognized from over 990 eligible from DIV I, II, III women's soccer programs how are eligible for the award. Western Carolina ranked number 2 of the 9 Southern Conference teams awarded this year. "This is one of our team goals every year and it is something the players and I take a lot of pride in," said Head Women's Soccer Coach Chad Miller. "It has become a standard for this program over the last eight years and is one of my favorite awards because it is a reflection of the entire team and what we strive to achieve on and off the field." To earn the NSCAA Team Academic Award, a team must post at minimum 3.0 GPA cumulative for the entire team for the previous academic year. It's 47 days until first pitch at Hennon Stadium against Washington State. While we're waiting, let's get to know this year's team and meet the juniors. Ja’Quayvin Smalls father, Henry Malcolm Smalls has reportedly dropped a wrongful death lawsuit filed against Western Carolina athletic personnel according to the Asheville Citizens Times. Smalls was a junior college transfer who had just joined the Western Carolina football team. He was participating in his first "voluntary" workout on July 8, 2009 with the team prior to the start of official practice. He died shortly after that workout in Cullowhee. The lawsuit sought “a sum in excess of $10,000” and listed Smalls’ father, Henry Malcolm Smalls, as plaintiff. Legal documents in the Jackson County Clerk of Courts confirmed that attorneys for Henry Malcolm Smalls dismissed the suit. It has been reported by the Asheville Citizens Times, that Western Carolina settled out of court with Smalls' father in the sum of $600,000. The autopsy report, released in November 2009 by medical examiner Dr. Lawrence Selby, cited complications from an enlarged heart were the cause of Smalls’ death. The sickle cell trait and exertion were also listed as contributing factors. Five Catamount baseball players were honored by the Southern Conference as selection in the coaches' all-conference teams for 2012. Senior Ross Heffley and junior reliever Preston Hatcher captured first team All-SoCon honors with rookie DH Jacob Hoyle landing on the second team. Hoyle and classmates Jeremy Null and Bradley Strong were all named to the SoCon's All-Freshman team. Heffley started all 54 games during the regular season, finishing with 26 multiple hit and 12 multiple RBI games. He had 21 extra base hits including 12 doubles and a team-high eight home runs among his team-leading 78 hits on the year - a mark that ranked him fifth in the SoCon. Taking over as the Catamount closer in 2012, Preston Hatcher turned in a career-best season. Hatcher's 6-1 overall record - matched the team lead in seasonal wins including three in league play - with 10 saves through regular season play, tying him for second in the SoCon. Hatcher also ranks tied for second in the WCU record books with 10 saves. It also ranks him seventh on the school's career charts, tied with Derrick Hawk (2003-05). Hoyle earned second team plaudits in addition to his All-Freshman team nod, paced WCU with 45 RBI during the regular season, tied for eighth in the SoCon. He saw action in 50 of the 54 games while making 46 appearances among the starting lineup as a rookie. Third baseman Bradley Strong and starting pitcher Jeremy Null were also named to the All-Freshman team. Strong overcame a sluggish start at the plate to hit .300 as a true freshman - an average that was bolstered by a .333 batting average in SoCon play, third on the squad. Null was thrust into a weekend starting role right out of the gates as a freshman with 14 of his 16 appearances in the regular season coming as a starter. He finished the season with a 5.16 overall ERA and a 4-4 record, tossing 68 innings with 60 strikeouts against 26 walks, limiting foes to a .269 batting average. It's 48 days until first pitch at Hennon Stadium against Washington State. While we're waiting, let's get to know this year's team. Now we'll meet the juniors. Catamount softball's Erin Fosterwas was named to the 2012 Southern Conference First Team. Foster had a .366 batting average, and led the Southern Conference with 18 home runs, ranking her second in the Southern Conference record books for home runs in a single season. Foster's 64 hits leads the Catamounts and.ranks her second in the Southern Conference, she also ranks third in the SoCon in runs scored with 45 and fourth in RBIs with 54. Foster had 21 multiple hit games, and 15 games in which she has hit multiple RBI. Foster was a two-time Southern Conference Player of the Week honoree and was named Southern Conference Player of the Month for April. Western Carolina senior right-hander Preston Hatcher was named to the Louisville Slugger Preseason All-America team as selected and released by Collegiate Baseball. A first-team All-Southern Conference reliever a season ago, Hatcher made both a team and career-high 29 appearances, tossing 52.0 innings. He finished tied for the team lead with six victories (6-2) and was third in the SoCon with 10 saves - a mark which ranked tied for second in WCU's single-season record books. He recorded 55 strikeouts on the season, tallying at least one punch-out in all but three outings and three-or-more strikeouts nine times. Midway through the season, Hatcher was featured on the official watch list among 45 other pitchers for 2012 National Collegiate Baseball Writers Association (NCBWA) Stopper of the Year Award. It's 49 days until first pitch at Hennon Stadium against Washington State. Three former student-athletes representing four different sports comprised the 2012 Western Carolina University Athletic Hall of Fame class. Bill Stanley (Football, 1964-69), Eric Johnson (Football & Baseball, 1995-99) and Laura Tieszen Kamarainen (Women's Track & Field, 2002-05) make up this year's induction class. Bill Stanley enjoyed a solid four-year career as both an offensive and defensive lineman for the Catamount football team under head coach Dan Robinson. Stanley was a part of three-consecutive, non-losing teams at WCU from 1964-66. Playing for WCU in the old Carolinas Intercollegiate Athletic Conference (CIAC aka Carolinas Conference, member from 1933-1976) - Stanley became the first - and only - Catamount to win the Kirkland Blocking Trophy in 1967. Laura Tieszen - Kamarainen captured 13 All-Southern Conference accolades during her outstanding four-year Western Carolina track & field career between the pole vault, javelin and the pentathlon/heptathlon events. She was a six-time SoCon champion in the women's pole vault including three individual crowns split equally between both the indoor and outdoor seasons, while also claiming individual championships in the outdoor heptathlon and the indoor pentathlon in 2005. Eric Johnson was a two-sport athlete at Western Carolina from 1995-98, playing both football and baseball for the Catamounts. A two-time All-America selection in 1997 and '98, Johnson is one of just two former Catamount football players to earn consensus first team All-America accolades, joining Kerry Hayes (1993). It's 51 days until first pitch at Hennon Stadium against Washington State. 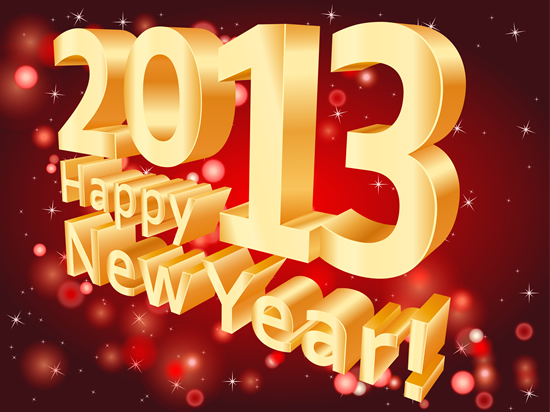 Checking in at #10 in our inaugural "Catamount Athletics Year in Review" is WCU's 2012 Football Season. Eight months after being introduced as the 13th head coach of Western Carolina's football program, the first official game of the Mark Speir era was played against mountain-foe, Mars Hill, on Thursday, Aug. 30, 2012. Head Coach Mark Speir won that first game, but it was to be the only win during his first season trying to turn around a program that hasn't seen winning season since the 2005 (5-4) under former coach Kent Briggs. The 2012 season is the fourth, one-win season for a first-year Catamount head football coach. Speir joins James Whatley (1-6-1 in 1939); Marion McDonald (1-3 in 1945) and Dan Robinson (1-9 in 1956) as first year, one win coaches. Western Carolina dropped ten-straight football games in the 2012 season, since winning its season-opener, then closing out the year against Number 4 nationally ranked Alabama. Three Catamount football players from the 2012 squad were named Academic All-District III as selected by the members of College Sports Information Directors of America (CoSIDA). Seniors Conner Orr, Rock Williams and junior Clark Sechrest were honored for their performances both on the gridiron and in the classroom. Senior linebacker Rock Williams was named to the All-Southern Conference team. Williams was selected to the first team defense by the media while being tabbed second team by the league's nine head coaches. Additionally, four Catamount freshmen - running back Darius Ramsey, quarterback Troy Mitchell and defensive backs Sertonuse Harris and Jaleel Lorquet - were named to the All-Freshman Team by the coaches. It's 53 days until first pitch at Hennon Stadium against Washington State. While we're waiting, let's get to know this year's team. Starting with the seniors. Each week, twelve bloggers/message boarders (one representing each team) all will vote on a Game of the Week and Power Rankings. This week we have a special edition. All the bloggers are back with their midseason review. 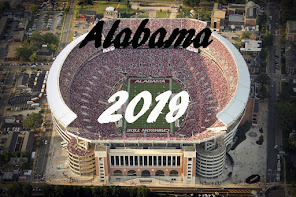 We look back at the best of the season so far, and look ahead to what teams we think we will get the byes and the division finishes. 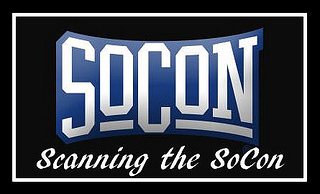 The next time we’ll all contribute to the same Scanning the SoCon will be just before the SoCon Tournament. 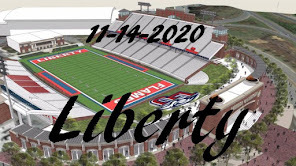 Liberty head coach Dale Layer enters his fourth season with the Flames, and returns two of his top five scorers from last season – John Caleb Sanders and Tavares Speaks. The Liberty Flames were selected to finish fourth in the Big South Conference North Division for the 2012-13 season. Liberty is coming off a 14-18 season, finishing fifth in last year's Big South standings. This season, Liberty is 2-10 overall, with wins over Div III Southern Virginia and NAIA's Milligan College. The Flames will play Union College (NAIA) on December 28, prior to the Western Carolina game. The Flames are currently led in scoring by junior Davon Marshall (guard / 5-11 / 170) with 11.9 ppg and junior John Caleb Sanders (guard / 6-0 / 180) with 10.1 ppg and 4 rebounds per game. Sanders scored a career high 24 points against Milligan in the Flames last outing. Marshall is first in the Big South in three-pointers per game, averaging nearly three per contest. Junior JR Coronado (forward / 6-8 / 245) leds the Flames in rebounding this season, with 8.5 per game and is ranked third among Big South players in rebounding. Liberty is averaging 59.9 points per game on the season, shooting 39.6% from the field, while averaging 7.6 three pointers per game and averaging 15.9 turnovers per game. Liberty is tops among Big South squads in three-point field goal defense, forcing opponents to shoot 28.6 percent from long range and remain 11th in the nation in three-point field goal defense. Redshirt junior Joel Vander Pol (center / 6-10/ 230) has returned to the lineup after missing the first 9 games of the season, he is currently averaging 10 minutes per game since his return. At this point in his development for this season, I do not expect Vander Pol to be a difference maker for the Flames in this game. It's 54 days until first pitch at Hennon Stadium against Washington State. It's 55 days until first pitch at Hennon Stadium against Washington State. The Tennessee Volunteers picked up win number 300 at Thompson-Boling Arena on the Tennessee campus in front of 15,000 fans, as they rallied with a 18-2 run in the second half for the 66-52 final score over the Catamounts. Despite shooting just 3-of-21 in the first half, Tennessee led Western Carolina at halftime, 22-18 as the Vols scored 14 of the final 16 points of the half at the free throw line. For the game, the Vols were sent to the free throw line 42 times, scoring a total of 30 points, compared to just 11 trips for the Catamounts, where they scored a meager 8 points. The Cats shot 37.5% field goals for the night, while Tennessee came in at 36.2%, as both teams could only hit 2 three pointers on the night. The Vols out rebounded the Cats 45-30, which enabled the Vols to put up a 17-2 advantage on 2nd chance points. Both the Cats and the Vols scored 28 points in the paint and both teams had 12 turn overs for the night. The Cats only scored 6 points off those turnovers, while Tennessee put up 16 points, mostly at the free throw line. The Cats were able to take advantage of the fast break somewhat, out scoring the Vols 6-0. Trey Sumler lead all scores with a game high 23 points. It's 57 days until first pitch at Hennon Stadium against Washington State. It looks like the folks at CatamountSports.com took a look at Purple & Gold's new look, and decided they needed to freshen up as well. Just kidding about that, however, I do like this new update. It's not cluttered and things are easy to find. The December 18th edition of Cat Chat on Big Wise radio (ESPN 1310), with Catamount Head Basketball Coach Larry Hunter. Tom Tankelewicz was honored today by his selection as the StatSheet SoCon Player of the Week for the week ending December 16, 2012. Tankelewicz led the Catamounts with a career-high 24 points including six made 3-pointers against nationally ranked No. 15 Georgetown. Tankelewicz finished the game with 8-of-14 from the floor including 6-for-11 from beyond the 3-point arc. The Apex, N.C., native matched two of his teammates with a team-best four rebounds, all coming on the offensive end. Purple & Gold congratulates Tom Tankelewicz on his selection. Head Coach Cuonzo Martin's Volunteers posted a 19-15 overall record in 2011-12, and tied for second place in the Southeastern Conference final standings. The Vols advanced to the second round of of the National Invitation Tournament. In his second year leading Tennessee, head coach Cuonzo Martin's 2012-13 edition of the Volunteers were selected in preseason to finish fourth in the 14-team SEC by the media. Tennessee sophomore forward Jarnell Stokes was named to the SEC’s preseason all-conference team, and senior forward Jeronne Maymon was voted to the second team. The Volunteers are currently 5-3 overall (plays Presbyterian on Tuesday prior to the WCU game), having played three common opponents of the Catamounts. The Vols have a 75-68 victory over UNC Asheville, a loss by one point to #15 Georgetown, 37-36, and a 9 point win over Wichita State, 69-60. The Vols are led in scoring by junior guard Trae Golden (6-1 / 205) with 13.3 ppg and 3.5 rebounds per game. Golden is followed in scoring by sophomore forward Jarnell Stokes (6-8 / 270) with 11.1 points and 7.8 rebounds per game, which makes Stokes the leading rebounder for the Vols. Height in the front court may become a serious match up problem for the Catamounts, as the Vols can and will play starter forward Stokes, 6-8 (270), starter forward Kenny Hall, 6-9 (230) and reserve sophomore center Yemi Makanjuola, 6-9 (250) who is averaging about 10 minutes per game. Tennessee is averaging 62.4 points per game, hitting an average of 43% of their field goals, and averaging 4.6 three pointers per game, while holding their opponents to an average of 57.4 points. Tennessee is scoring an average of 29.8 ppg in the paint this season, that’s 47.8 percent of the team’s total scoring. This could be a very tough game for the Catamounts. Offensive rebounds and points scored in the paint could be severely curtailed by Tennessee's size. To make a game of it, the Cats will need that ability to score from the outside, the entire game. If our long shooters go cold for prolonged stretches in the game, it will spell trouble for the Cats. Each week, twelve bloggers/message boarders (one representing each team) all will vote on a Game of the Week and Power Rankings. At least four will answer a series of questions on their team and around the SoCon, this week those four are Chattanooga, Furman, Georgia Southern, & Western Carolina. The Gainesville Red Elephants stampeded Ware County 49-13 in the Georgia High School Class AAAA Championship game at the Georgia Dome Friday night. Ware County's Quan Bannaman fumbled a pass and it was recovered by Western Carolina bound, Gainesville defensive back Fred Payne. Payne returned the fumble recovery 34 yards for a touchdown to put Gainsville up 21-0. Payne also came up with another big defensive play when he picked off a Ware County pass in the third quarter and returned it 70 yards to the one-yard line. That set up another Gainesville touchdown and put the Red Elephants up 35-7. The Hoyas won another home game, outlasting the Catamounts by a final score of 81-68. In what was to be a signal for how the game would end, it began with two of the Catamount starters, Trey Sumler and Brandon Boggs, sitting on the bench, suspended for the first half of the game by Coach Hunter. However. the Cats started the game on a nice run, thanks to Tom Tankelewicz and his three point shooting. Tankelewicz kept it close for most of the first half, but the Cats went into the locker room down 30-42 at halftime. As the game progressed in the second half and the Hoyas led increased to 26 points at about the 11 minute mark. During the second half, I began to realize the foul inequity between the Catamounts and the Hoyas. Maybe it was just me, but it seemed that every time Georgetown took the ball inside, a foul was called on the Catamounts, while almost nothing was called under the Catamount basket. In the first half alone, the Cats had only 6 shots from the free throw line, making 3 points. while Georgetown had 20 shots, making 15 points from the charity stripe. It was not until after the game, and I reviewed the overall stats, did I realize how well the Catamounts had actually matched up with the #15 Georgetown. The Cats hit 24 of 52 shots from the field, while the Hoyas hit 26 of 54 shots. On three-point field goals, the Cats put up 11 of 21, the Hoyas hit 6 of 16. The Cats pulled down 23 rebounds (8/15), while the much larger Hoyas made 34 (13/21). The Cats had 15 second chance points, and the Hoyas had 16 second chance points. The Catamounts did have a total of 15 turnovers, while the Hoyas had only 7 and the 8 additional turnovers hurt/ But the turnovers were not what sealed the game for Georgetown. It was the free throw shooting. The number of opportunities each team received was the major difference in the game. The Hoyas were sent to the charity stripe a total of 33 times, where they scored a game winning 23 points. The Cats only received 14 attempts at the free throw line, making 9 points at the charity stripe. There is no doubt in my mind, the Big East officials were determined not to let the Catamounts out of the Verizon Center with anything approaching a win. Every time the Hoyas drove inside, you could count on a whistle, either giving the Hoyas the old fashion three point play or bailing out the Hoyas on a missed shot. Tom Tankelewicz paced the Catamounts with 24 points, making 6 of 10 treys and 4 rebounds, while Sumler added 11 points and Preston Ross scored 10 points. The Cats are back in action again Friday, December 21st, at the Tennessee Volunteers in Knoxville, tip time is 7 PM EST. Coach Hunter's post game comments. Western Carolina senior linebacker Rock Williams will play in Saturday's FCS Senior Scout Bowl at Doug Shaw Stadium in Myrtle Beach, S.C. The FCS Senior Scout Bowl is sponsored by the Collegiate Development Football league. Williams is a first team All-Southern Conference linebacker that lead the Southern Conference with 12 tackles per game despite missing two games due to an injury. An Academic All-District III selection, Williams finished with 108 tackles including 52 solo stops and 3.5 tackles for loss. He forced a team-high four fumbles, recovering one during the season. Williams is just one of three Southern Conference players involved in Saturday's all-star event, joining Furman running back Jerodis Williams and Cass Couey, kicker from The Citadel. Purple & Gold Congratulates Rock on his selection, and a great season at Western Carolina. What did Jerry Moore do to the Yosef Club?